Goal: Protect the Peruvian Amazon and its endangered species from the dangers of deforestation. Gold mining is the leading cause of deforestation in the rainforest. Researchers are calling the recent statistics “historical.” The year 2018 was the highest year on record, with 36 square miles of forest destroyed. This is a tragedy, with the once lush and green Amazon turning to dull, brown dirt. There are perhaps 6,000 to 7,000 people living and mining illegally in the Amazon. This must come to an end. The rainforest and its hundreds of diverse species must be protected. Instead of fighting back, some local government officials allegedly have received payments from mining companies. Demand that the federal government step in and bring this deforestation to a complete stop. 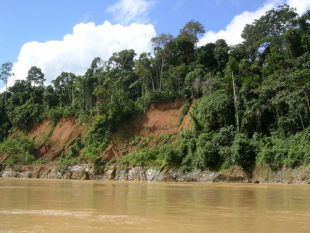 Over 70 square miles of Amazon rainforest in Peru have been destroyed. Half of this was done in 2018 alone, which made 2018 the deadliest year on record for your nation’s forest. Between 6,000 and 7,000 miners run rampant in the Amazon, turning the lush land to dust. Local government has proved inefficient at ending this destruction. It is time the federal government step in and protect what remains of the Peruvian Amazon.